1 Place cans in slow cooker on their side. 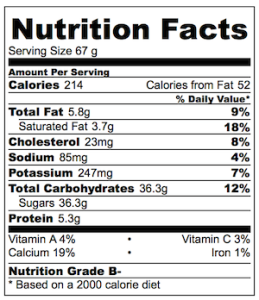 Don’t worry about removing the label. 2 Cover cans with hot tap water until the water is about 5 cm / 2” above the cans. 3 Set slow cooker for 8 hours on low. 4 If you want your caramel to be a really dark golden colour, slow cook for a further 2 hours. 5 Remove cans from slow cooker using tongs. DO NOT OPEN CANS WHILE HOT. The contents might burst out – dangerous! 6 Submerge cans in cold water to cool before opening. It only takes 10 minutes or so. 8 If not using right away, transfer into jars or air tight containers, do not leave it in the can. 1 Place cans in a large pot and cover with water so that it is 5 cm / 2 inches above the cans. 2 Place on a small burner and bring JUST to boil – don’t walk away, you don’t want to leave the cans boiling in water. 3 Then turn down the heat to medium low (or low if you stove is powerful), put the lid on and let it simmer for 2 hours to get the consistency and colour as per the photos you see, otherwise for 3 hours if you want to darker and thicker. 4 Remove from the pot. 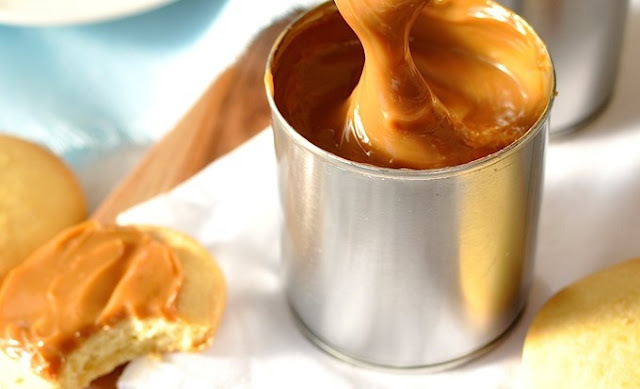 Allow to cool before opening (otherwise the Dulce De Leche might burst out when you open it). You can speed up the process by submerging the cans in cold water.